Amherst Cataract Surgeon David R. Shield, M.D. Dr. Shield is a New England native. He completed his medical training and ophthalmology residency at Yale Medical School in New Haven, Connecticut. He received advanced fellowship training in the diagnosis and management of ocular inflammatory and infectious diseases, known as uveitis. 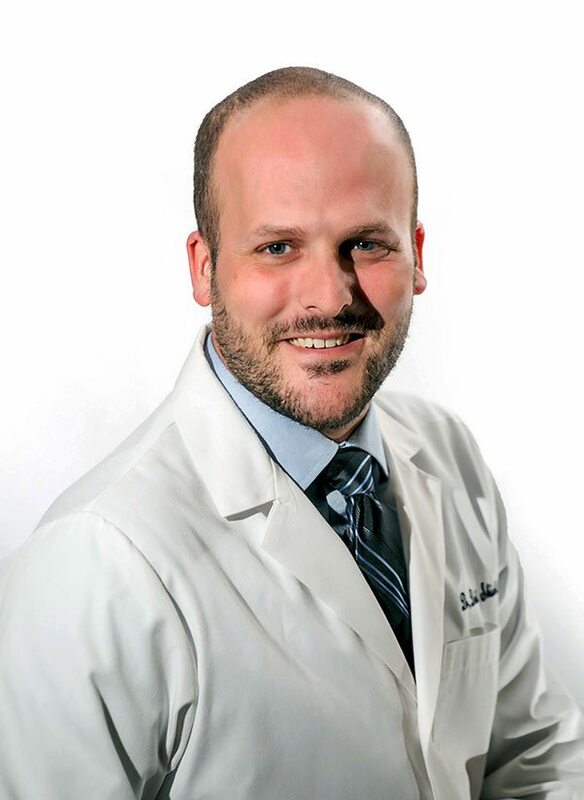 Dr. Shield focuses his clinical practice on tailoring medical and surgical treatments to each of his patients, providing state-of-the-art intraocular lens implants for cataract surgery and the latest minimally invasive glaucoma therapies. In addition, his clinical practice includes comprehensive eye care and a focus on ocular disease prevention. Dr. Shield completed his undergraduate studies at Brown University in Providence, Rhode Island, concentrating on Latin American Studies, and is fluent in Spanish. He lives in Northampton with his wife, two children, one dog, and four chickens. “One of the best decisions I made was to have Eye Physicians of Northampton diagnose and perform my cataract surgery. My vision was failing and Dr. Dostal identified the problem quickly and accurately which led to cataract surgery for both eyes. Surgeries were performed by Dr. Shield. I now have 20/20 vision in both eyes. I highly recommend Eye Physicians of Northampton.” – Kathy Q. “Don’t wait to get your vision corrected. I have had 2 cataract and 2 lens implant surgeries in the last month and it was so easy and painless. Dr Shield was a total professional from start to finish. Great bedside manner and follow up, and very reassuring through out the entire process. The offices were well run, and efficient. I didn’t sit waiting for any length of time at any time during my procedures or follow up care. The operating room staff were friendly and funny and made everyone feel relaxed. It was over so quickly I hardly knew it had happened. AND best of all….20/20 vision in both eyes after YEARS of glasses…couldn’t be happier!” – Cindi S.
“I was a bit apprehensive to have cataract surgery. After waiting 3 years, I made an appointment with Dr Shield. He put me at ease right away with his confidence and friendly manner. He said it would take approximately 15 minutes and he’d make sure I was comfortable through it. During the procedure, he explained what was going on and checked on me to make sure I felt OK. There were no pre-op or post-op eye drops to deal with. My vision is excellent now- close to 20/20! I highly recommend Dr Shield to anyone considering cataract surgery.” – Henry P.